Gift Certificates Promotion for Black Friday 2018! Get a Food Tour Gift Card! Give the gift of a food tour to your favourite foodie! Gift Certificates are available for tours in both Montreal and Quebec City. 20% Off All Gift Cards on Black Friday! It’s officially open season on Holiday Gift Shopping! Give your friends and family something truly unique this year with a Quebec City Food Tours Gift Card. Gift Cards can be used towards any of our neighborhood Food Tours and never expire! Delivered instantly to your email or the recipient(s). The same promocode also works for our other tour companies like Montreal Craft Beer Tours and Local Montreal Food Tours. Cost: 65$ + 3$ Booking Fees + taxes = 78.18$ per person, or 156,36$ for 2 persons. Cost: 59$ + 2$ Booking Fees + taxes = 71.28$ per person, or 142,56$ for 2 persons. The Mile End is Montreal’s top cultural destination. Its thriving foodie scene and artist community are something to be experienced! Join us, and indulge in the best the Mile End has to offer. 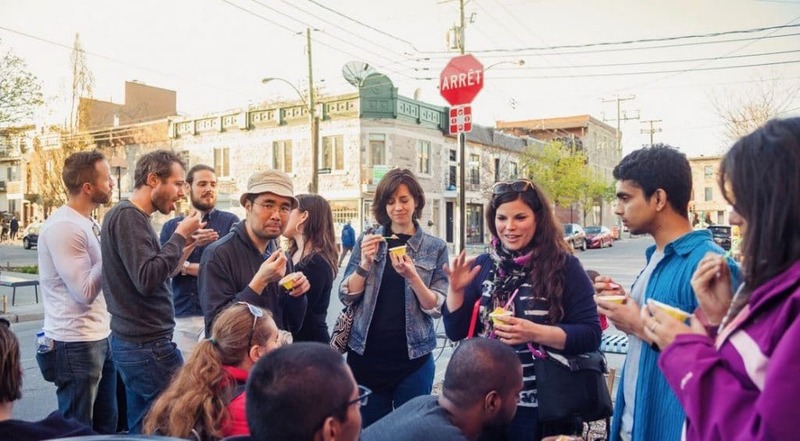 More information about the Mile End Food Tour. Cost: 57$ + 3$ booking Fee + Taxes = 68.99$ per person, or 138$ for 2 persons. Cost: 67$ + 3$ booking fee + taxes = 80.48$ per person, or 160.96$ for 2 persons.